(Makes 5 gallons) Jason, who recently graduated from the American Brewers Guild, now teaches our beginning and advanced brewing classes held every month in Concord, Ca. 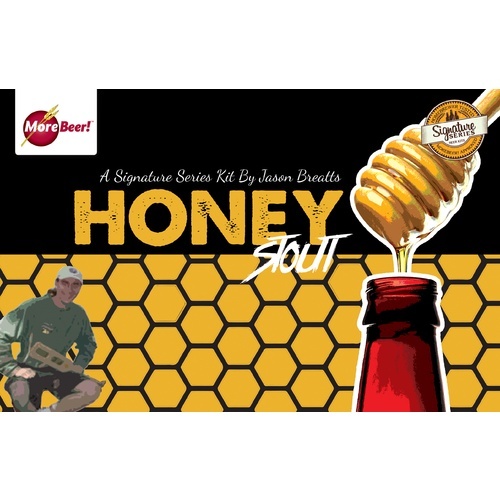 Jason use to brew up Jim Rossi's Honey-Pale and our B3 Stout and mix them together out of the tap 50/50. Jason decided to take it one step further and started brewing them together. He says "It is a like a Black and Tan" with a honey flavor of course. The beer does not taste like a true stout but is very far from being a Pale Ale. 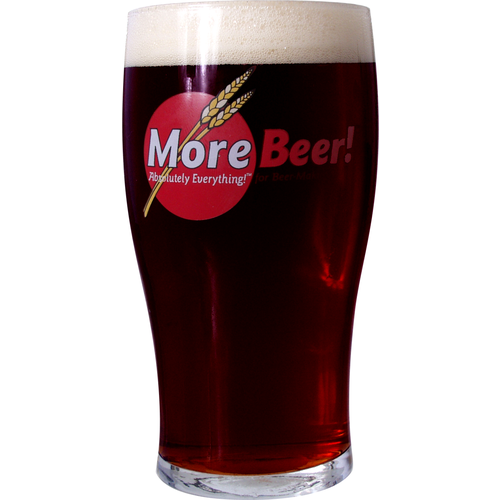 The continually positive response of "wow" from friends and other MoreBeer! 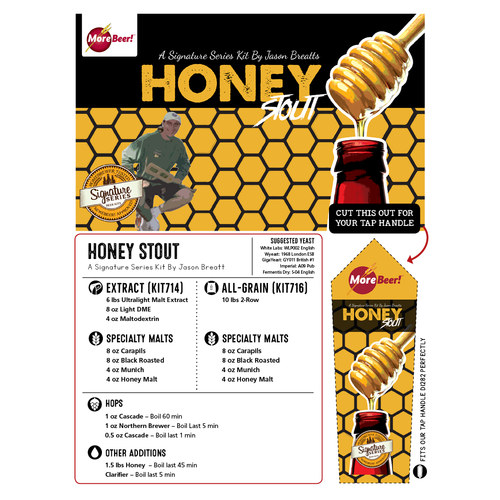 customers prompted us to make his unique combination as his own kit, Honey-Stout. Thank you Jason for reminding us that when it comes to beer flavor, there are no rules. Jason recommends English yeast, WLP002. Pretty much as advertised. A crisp light-bodied stout with an enticing aroma. I used WLP 007 and added some cold-brewed coffee. Not your typical stout, which is probably why I liked it. It was pretty darn tasty and will definitely brew this again. Everything you love about a Black and Tan only it is made with premium beers. You get teased by both the depth of a fantastic stout, and the smooth finish of a crisp honey beer. It really is two great beers in one. A definite beer to impress your friends!! Good body, gets even better if you let it age for a while. This was a nice recipe. My wife and other "non beer drinkers" really liked it, I think mostly because of the sweetness. I agree that it gets better with some age on it. A unique and very drinkable beer. Lighter and sweeter than a traditional stout, but still retains a roasty taste. Many friends have tried it, all have enjoyed it. Gets better with age, too!